There’s something about a waterfront city – a sense of expansiveness, perhaps, or simply the natural beauty of the sea in all seasons. And for property buyers, living near water is often an absolute must-have. But not everyone who wants the seaside life also wants the small town or resort life. So, this week, we’re looking at Europe’s best waterfront cities for property buyers. The tiny capital of Malta is one of the smallest in Europe, but is still one of the grandest. Built by the Knights Hospitaller as a ‘city for gentlemen’, it has earned itself the name of ‘the most proud’ for its many churches, palaces, auberges and its extraordinarily grand cathedral. The Grand Harbour is one of the most famous in the Mediterranean, with the view from Sliema over to the capital one of the most iconic on Malta. There are no beaches, but you can enjoy boating and rowing around here, or take a short bus ride to nearby beaches in Golden Bay. Properties here are mainly either ‘houses of character’ (period townhouses) or former houses subdivided into flats. Invariably, it will be period. English is of course an official language in Malta, so official dealings are particularly easy. Our Queen spent part of her early married life living in Villa Guardamangia on the island – could this archipelago also be your perfect home from home? Moving to a much larger city, bustling Barcelona is a waterfront city like no other. It has gorgeous beaches, delicious food and sunny weather. But on top of that, the unique architecture of the Ramblas continues to fascinate, and its position as a centre of Catalan culture adds another layer. Here, much property is apartments in narrow streets, with plenty of shade from the hot sun. 10% of sales go to overseas buyers, and there is a level of concern over the number of Airbnb-esque investments in the centre. Homes are pricey, at around €790,000. La Serenissima is another icon to feature on our list. Arguably one of the most beautiful cities in the world, you can spend hours wandering its narrow streets and heading down side canals to keep discovering new treasures. Again, a strong tourist industry does cause issues for the property market. Few homes have gardens in Venice, but many rooftop apartments have great views. You’ll find many buildings will have a communal courtyard and stairwell with a number of apartments. Generally, the higher up you go, the better, as ground floor can be susceptible to flooding. You may think that all of Venice has been turned into tourist lets by now. However, head away from San Marco towards the Arsenale or up to Cannaregio and you’ll find more ‘local areas’. Prices for an 80m2 property are lower than you might think – around €410,000. However, in prestigious buildings, this can soon hit the millions. 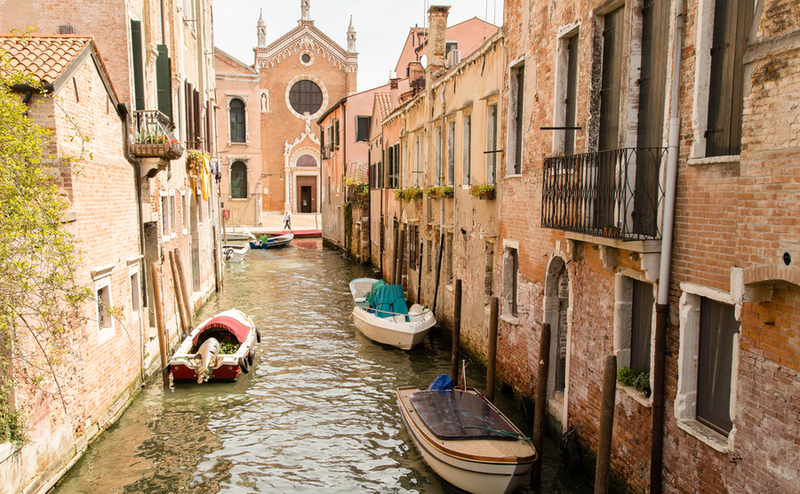 The Cannareggio area of Venice is a more local part of this waterfront city. This gorgeous Scandinavian capital sits on over 30,000 islands. In the summer, it is glorious, with long, sunny days and green spaces everywhere you look. The grandeur of its baroque architecture is an unmistakable sign of Sweden’s past as a Great Power. Many Stockholmites live in apartments, with more detaches houses available on outlying islands. Property has fallen from recent highs in the last few years. A city-centre apartment costs around 86,553 Swedish kronor per square metre. This Italianate city is one of the great gems of the French riviera. Its beach may be stony, but combined that with the famous Promenade des Anglais, the endless café-lined squares and the sunny weather and you’re onto a winner. You have a choice between city-centre apartments and houses further out in the suburbs, many well linked by public transport. Nice is surprisingly affordable, given its location (and nearby neighbours like Monaco!). An apartment costs around €4,100 per square metre, and a house, €4,600 per square metre.